Looking for a quick satisfying snack? 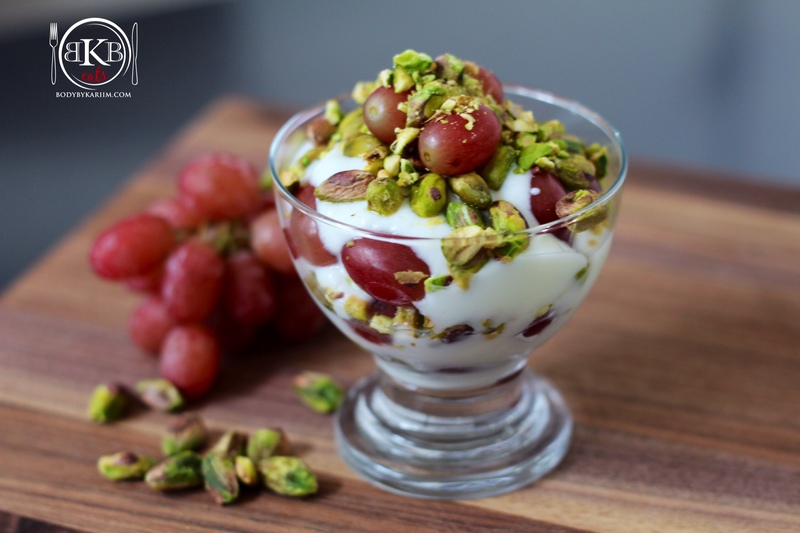 Try this fun, healthy, protein packed snack made with plain yogurt, grapes, and pistachios! It’s simple to make & will satisfy your crunchy+ sweet fix at the same time. Tip: Great pre or post workout snack! 1. In a small bowl, layer the ingredients starting with yogurt at the bottom. Layer to your liking until all ingredients are used. 2. Grab a spoon and Enjoy! NOTE: Can be made in advance for meal prep. I had to do a touch-down dance for this recipe. Thank you.